Control mech support. 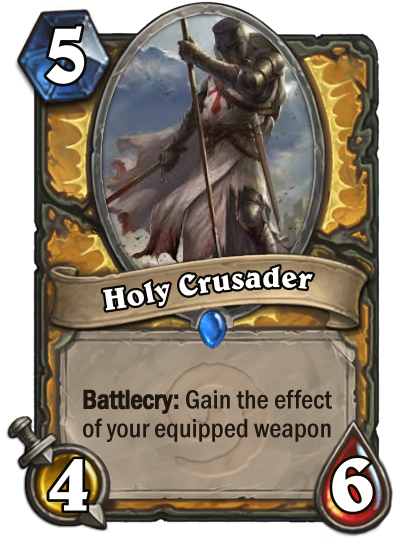 Too random for aggro to seriously make use of it, and stat line isn't 3/4. For 3 mana? 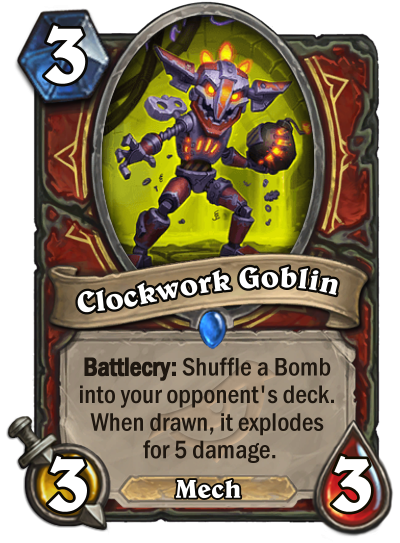 A 3/3 with good effect that also has obvious synergy with Blastmaster Boom & Wrenchcalibur - not to mention the existing bomb generator - that's pretty good ! I wonder if Iron Juggernaut's mine would also count as a bomb? "What have you got there, Pinocchio Malygos?" It has bad stats, but it will be relevant with how powerful warrior mech generation is. You don't want this in Control Warrior, the 5 damage is irrelevant. Same in aggro/tempo - you'd prefer Frothing/rushers. So either a part of new deck or unused. Another reason why Mech Warrior will be a top meta deck after rotation. It's a 3 mana 3/3, so as baseline as it can get. Mech warrior is focused on control and tempo and can easily go into fatigue at times, when cards like this will start paying off. Oh my. Bomb warrior looks like a serious thing. Slow decks get blasted LoL. LOL at the people who commented before seeing the full Boom package. 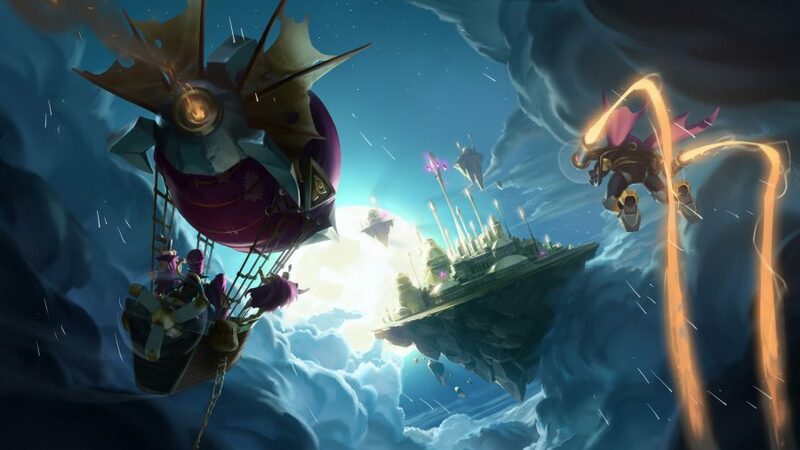 Complaining about RNG in Hearthstone won't convince anyone that it's a bad thing -- it only makes them think you're too dimwitted to find a game that suits you better. A single 5-damage bomb is irrelevant. MULTIPLE 5-damage bombs is sweet AF. Bleep bloop, I am a robot. Eh, just kidding. Also remember that this is mech and its important - you can get this at random as Warrior and as class card it have quite good chance to occur (by Omega Assembly or Dr. Boom Hero).